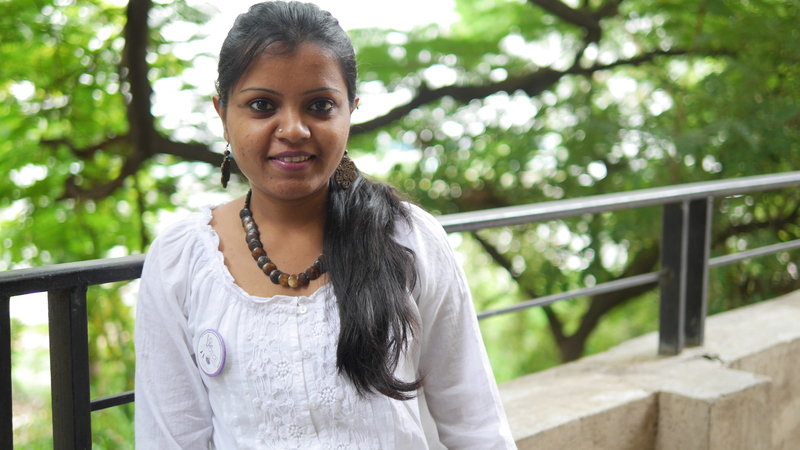 I started my career when I was 18 with the organization Educational Initiatives (EI), based out of Ahmedabad. I was a B.A. student at that time and had a lot of free time after classes; hence I thought of using my time wisely and decided to take advantage of the unique opportunity to work with EI. I did not tell my father about the job initially, as generally he was against the idea of combining work and studies. However, I knew that I would convince him one day, and I did! He was very happy when I gave him my first salary cheque and was even happier when I showed him my first term results where I did fairly well. Then, he said, “I’m fine with you working as long as I see you progressing in you studies as well.” That marked the beginning of my 2 sisters and I changing my father’s perspective! None of us in the family ever dared to disagree with my dad when he said ‘no’ to something. Being the youngest member in the family, most of my decisions were influenced by elder sisters and I was getting fed up with it. I was about to complete six years at EI, and I decided to change my job and location. I broke the news to my family members and they immediately started questioning my decision. “How will you stay alone in a new city? How will you find a house? Where will you stay? How will you manage your food? Why can’t you work in the same city? Why do you want to go to a new city? ?” I too wasn’t sure how I would manage all these changes! But I had made up my mind and decided to be Independent. I wanted to be more responsible at a younger age instead of having everything planned out for me by my family. Honestly, it was the most difficult decision that I have ever taken in my life. Just the thought of staying away from family, out of my comfort zone seemed scary. And actually doing it was even scarier! I successfully managed to convince my sisters and mother. Once again, my father wasn’t aware of the fact that I was about to shift to a new city with a new job because I knew if I let him know at this time he would have never let me go. I was feeling guilty, but I was confident he would understand me later. Moving to a new city made me more aware of myself, partly because I am forced to live alone most of the times and deal with all struggles of life on my own. In my efforts for the job search, I had researched a number of companies. VOICE was one of the few that interested me. Gender inequality and women’s disempowerment issues were something that my mother and I had experienced. My mother was in grade 4 when she lost her mother and she depended on her elder sister. My aunt got married early and she had five kids; my grandmother who used to take care of her grandchild’s as my aunt was a working woman. But when my grandmother passed away it was my mother’s turn to take care of her elder sister’s kids. Hence, she had to quit school. I remember my mother telling me her childhood stories; she would say, “if I would have got to study further, I would have definitely become an IAS officer.” For me, joining VOICE was the best decision I could have made, and knowing that I can bring change to someone’s life inspires me. I thought if I could educate, empower, change life of at least one girl child it would be a dedication to my mother – my role model! My advice to the youth – just try and experience the joy of giving first hand. Give your time, money, skills to the people who need it, and help improve their lives. Trust me, you will get far more joy out of it than anything else! We’ve got a new logo! After months of conceptualizing, creating, and perfecting, VOICE finally has a new face, and a new website to show it off. Today is the International Day of the Girl, and I couldn’t think of a better time to launch our fresh look. VOICE is entering a critical new phase of expansion and development, and our new logo reflects our dedication to equipping adolescent girls with the knowledge and skills they need to be safe, healthy, and independent. The logo embodies everything I love about VOICE. We’re impact-driven and innovative, yet fun and engaging. We create girl-centric solutions that have real, tangible results. Take a look at our website for all updated information concerning VOICE (surrounded by beautiful new photos!). As always, we’ll be posting news, photos, and videos through our other social media sites. Check back often, and tell your friends about VOICE!